E-commerce marketing encompasses the complete set of marketing actions required from the design all the way to the successful sale of your product or service. 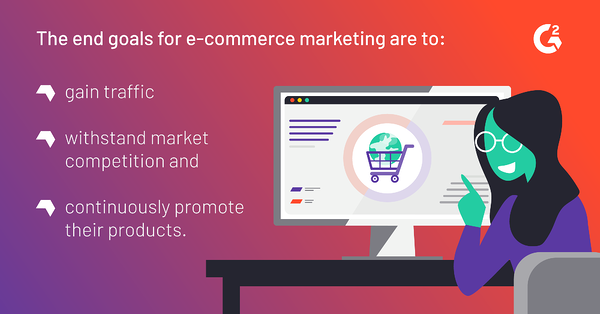 E-commerce marketing is designing a product or service that appeals to your target audience, you need to know who you are designing for, how they will be using it, and what their purchasing power is. Execution of marketing strategy is also part of e-commerce marketing. The channels you will be employing to market the product, the wording, presentation, and advertising budget play a significant role. But e-commerce certainly doesn’t stop there. Overall experience, cross-device user experience, interdepartmental communication, customer support, and customer happiness all add to the way people experience your brand. 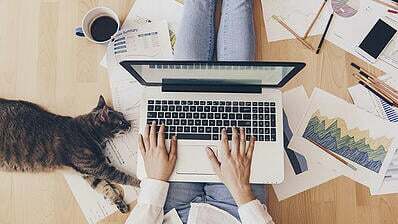 DID YOU KNOW: According to online shopping statistics, "E-commerce sales made up around 10 percent of total U.S. retail sales in the third quarter of 2018." 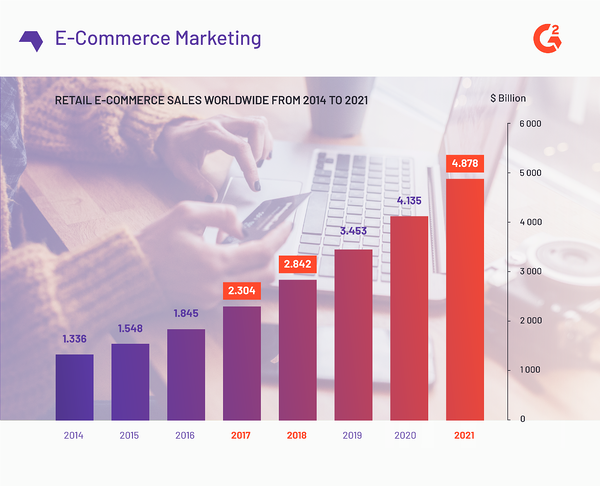 Who is e-commerce marketing for? E-commerce marketing strategies are for everyone who wants to run a successful store online. It takes careful coordination of a number of marketing actions, budgeting, scalability of actions, timing, and the right strategy to come up with an e-commerce marketing plan that works for your business and industry. Think of your e-commerce marketplace like a plant. Just because everything looks fine once you get started doesn’t mean it will be...evergreen. The external environment plays an important role in your strategy, so you need to be proactive or you’ll risk losing what you’ve worked hard for. If you have an e-commerce store, you need stay alert to opportunities and threats in the external environment, regardless of how well it’s performing. 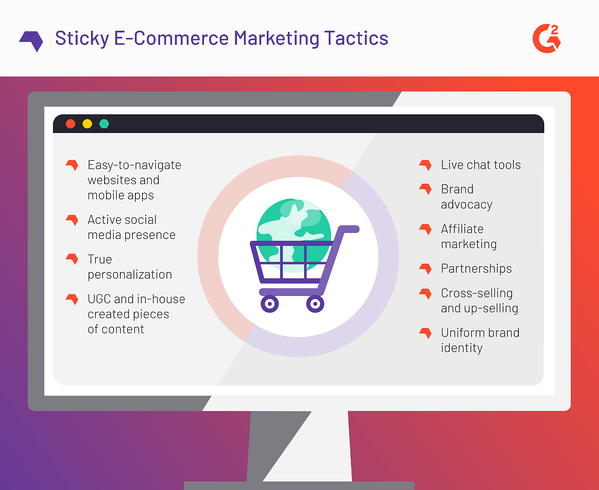 The pros of e-commerce marketing strategies are the carefully coordinated marketing actions, better planning prospects, smooth execution, and alignment of branding with actions. You'll be able to go off the beaten track, but you’ll never go off track. Organic e-commerce marketing and content marketing strategies can help anyone be successful. Depending on the type of e-commerce business model your store has, here are 30 tips to help market your new site. Is your e-commerce marketing plan performing as well as possible? One way to find out without spending a fortune is to take a look at G2.com to see what authentic users have to say. See what thousands of people have to say about analytics tools and other software so you can streamline your work. Remember: it’s not organic traffic if you have to spend a fortune trying new software every other week! Arguably, playing the content marketing card is the most sustainable and long-lasting move you can make. The trick? It’s not as straightforward as it may seem. Taking for granted that your users are interested in what you have to say is a huge blindspot of most businesses when creating content. It’s like suggesting that because your friends like you, they’ll run a marathon with you. (They won’t.) You need to make it about your readers, meaning the right copy is what will help you grow your brand. As much as users like your product, it’s the personality through words that they’ll fall in love with. To get that right, hire skilled copywriters to ensure your brand is putting its best foot forward. If you aren’t serious about your content by putting in hard work on a regular basis, then organic traffic isn’t for you. A nice word goes a long way – and trust me, your loyal users will be happy to refer their friends to you. It doesn’t cost a dime to ask for a referral. For instance, Airbnb has built a huge database of users who refer their friends, and how they maintain word-of-mouth referrals is by offering the user and the person to whom they are referring discounts off their next bookings. Do you really think that the $15 dollar discounts Airbnb offers their customers matches their average acquisition cost? Not a chance. While you’re at it, try gamification. Use website tracking and customer segmentation to compile your highly-engaged users into a mailing list. Then, ask them to leave a review for their latest purchases to help the community. Give users badges for each review they leave or throw in a special giveaway every now and then. 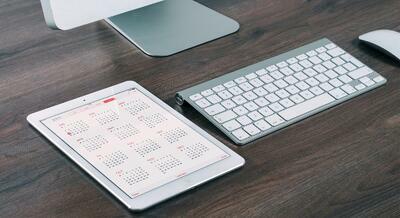 SEM, or search engine marketing, won’t fly without an editorial calendar for your content. First, map out your content by figuring out what your goals are for the coming months. Is it to build brand loyalty – or something else? Next, write content for your loyalty programs, like the benefits of shopping with your brand, the great after-sales service you provide, and other eye-catching content your users will want to read. Then, take to Google trends and see if there’s an upward trend (a particularly steep one, preferably), run a few alternatives, and use a tool such as Ahrefs or Moz’s keyword explorer functions to see what words and phrases you should be writing on. This is great insight for writing with specific focus keywords in mind. What does your brand have to do to get people spreading the word? Some ideas include volunteering in your local community, starting or backing a charity, fundraising for the less fortunate, and getting your employees involved. Make your brand known as “being there” for people. Another way to go about word-of-mouth marketing is by reaching out to loyal customers or users and make their efforts known. Something as simple as a $5 e-gift card can go a long way in motivating someone to boost your company or brand name. Recently, @gisou sent one of its loyal customers an exclusive gift out of nowhere. In a series of Instagram story posts, Gisou showed their followers that some lucky individuals were gifted an exclusive, not-for-sale hairdryer as a courtesy for their continued loyalty. In return, users who were gifted the exclusive hairdryer shouted Gisou out on their Instagram pages, which the company then re-shared on its platform. This back-and-forth sharing and “thanking” game shows a great customer-business relationship that has been built out over time and a mutual respect for one another. Any time the lucky users have a chance, they’ll show off their new hairdryers to their friends and tell them that Gisou gave it to them. This is an excellent example of successful word-of-mouth marketing. At the end, Gisou sent out one final IG post where they hinted that, in the future, other opportunities for receiving gifts could be on the horizon. One of the most undeniable rules in marketing is that of reciprocity. You can’t expect customers to always support your brand and new product releases if you don’t show them the least bit of interest back. Setting up a loyalty or rewards program for your customers can encourage them to spend more at your store because they know their purchases will add up into something beneficial for them. Also, they can see that every dollar they spend with you counts toward acquiring a product or changing their status if you have program tiers, like bronze, silver, gold, and platinum. 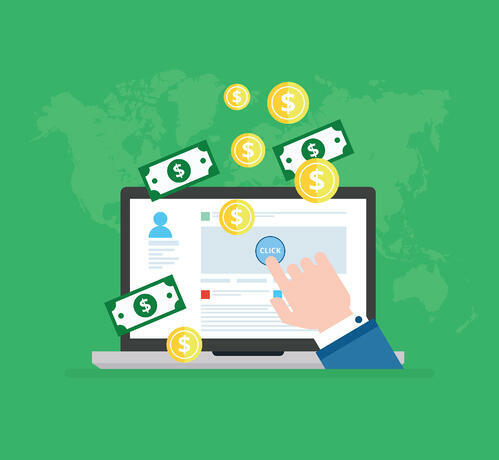 An affiliate marketing program is to your marketing what loyalty is to your users: it helps you share some of your earnings with your customers. Instead of having them refer an individual friend, they become your ambassadors and thus turn their friends and colleagues into your customers. As a plus, an affiliate marketing program usually earns its affiliates 30 percent of every transaction. Work toward omnichannel marketing. Omnichannel marketing is like stepping stones in Japanese ponds: can your customers cross your marketing channels from your website all the way to your Facebook page or your LiveChat account? Designing your omnichannel marketing is all about interconnecting all your marketing channels in a way that they are no longer part of a multi-channel retailing approach, but a smooth, integrated user experience. To create a measurable yet personalized user experience, you'll need to establish a way of user identification. Other than website tracking, which works miracles for bringing together your website and email marketing and automation, you can also try integrating your Zapier with your ESP account and create a bump-free path to conversion funnel. There are multitudes of live chat software programs to help you regulate website traffic and assist first time visitors in navigating your website, with LiveChat, Intercom, Hotjar, Qualaroo being a few examples. The goal of live chat implementation is to have a 24/7 accessibility service so that you are universally available for users worldwide. By establishing this sort of trust with your potential customer, you are promising them that you will be offering this kind of alert, spot on, timely help when they need it most. Did you run out of stock? Don’t leave your customers disappointed, and most importantly, don’t let them leave without taking their contact details. This way, you can ping them once your products are back in stock, which truly makes your customers feel valued and appreciated. This way, you also manage to hold on to your hard-earned (potential) customer. Otherwise, the automatic bid you set on Facebook ads for every engagement taking place would go to waste. After all, even if users don’t shop at the end, you’ll still have earned new entries for your mailing list. Set up an automation to go off when a user hasn’t viewed their wishlist for a month or longer. Send them an email with dynamic content and product recommendations similar to what they had viewed. Wishlist reminder emails are a great way to engage your potential customers or existing customers. They’re not bad for business either, since they increase average order value per customer and help boost conversions from time to time. Especially on the last Friday of the month, or whenever payday is in your target market. When running ads to promote your website, where does all the traffic go? Users might click on the link you provided, but leave the site without making a purchase. Why? To hold their attention and make them try to stay, set yourself up with sign up forms and sprinkle a “10% off your first order!” kind of copy, and watch your list grow overnight! Don’t forget to specify that this is a limited time only offer, so that website visitors know that entering their email address will actually be mutually beneficial: you get them to sign up, and they get something for seemingly nothing. At the end, match your sign up forms to a dedicated mailing list on your email marketing and automation platform. Nothing sells faster than authentic testimonials and user reviews. Encourage customers to leave reviews for your product or content based on genuine user experience. It’s much more refreshing to read someone’s personal experience and how your product or service assisted them rather than “star” reviews that range from one to five without any personal input. Bring all your wonderful social media and user-generated content over to your website. Allow your first-time and returning website visitors to get a sneak peek of the number of followers you have on Instagram as well as whatever images you share of your workspace or product, if applicable. In a design-conscious society, people favor aesthetically-pleasing photo content. Using artificial intelligence for product recommendation purposes is in. 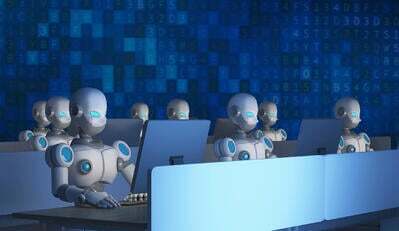 Because product recommendation systems make informed suggestions as recommendations for users, utilizing AI product recommendation can increase your sales greatly. Putting together your marketing stack is essential for all paid software. Make sure you’ve made the best choice by typing in your query in the search box. Choosing a PPC strategy can be difficult, especially because there’s an ongoing clash of schools: automatic versus manual bidders. 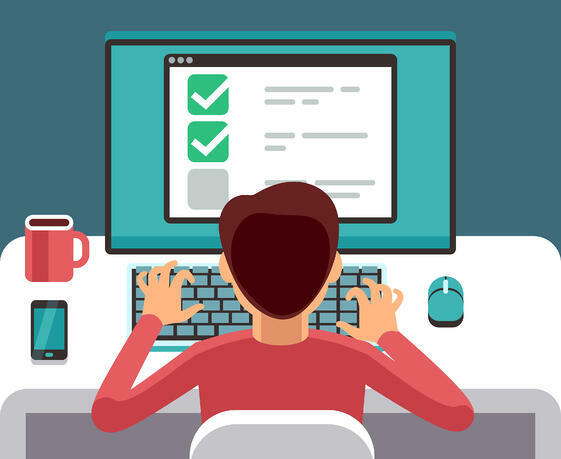 Both have pros and cons, but always make sure you set a maximum CPC for your campaign and make sure your keywords are high-quality while being very closely related to your topics. To establish the bid’s worth, you’ll need to have already run the numbers and know what each click is worth to you, whether each click counts towards brand awareness, brand recognition, or conversions – and at what cost. Another way to ace your e-commerce marketing is by posting your latest products on social media as well as regular social updates. If you manage to maintain consistent posting frequency, you will help your followers establish the habit of engaging with you and your page. Also, it’s good to show users you’ve been updating your content, especially if they only visit your social media accounts every once in a while. Your ads are so much more than just copy; they’re not just a cool photo or video either. They’re a combination of all of these (on your side) and how relevant they are with the audience at the specific time you publish them (on the customer side). Boost your posts, promote your page, engage with other accounts, share your content, and always keep in mind what the user wants. How would you feel if your best friend never did anything for you? Well, your customers are like your best friends – you can’t be on the receiving end forever. Sometimes, it’s as simple as engaging with your customers even more by sharing their content on your page. Sharing user-created content makes them feel like valued brand ambassadors. Your Facebook store (available with Shopify e-shops) connects to your Instagram shop. This way, you’ll get a strong combo of marketing actions and three e-shops. Facebook, Instagram, and Shopify all come together to supercharge your e-commerce marketing. Are you in a hurry to get people to talk about your products and wondering how to skyrocket your website traffic? The easiest way is by reaching out to influencers. Major influencers are usually hard to approach (only to find out that they are impossible to afford, as well). So what you do is prepare a pitch well in advance, include a deadline by which you’d need a final answer, and discuss the specifics of your collaboration very carefully, such as how they’d handle negative comments (if any) about your product from any of their followers. TIP: Leveraging influencers' outreach to build meaningful content for your e-commerce content marketing is a great strategy if the sales approach fails! Increase conversions with cart abandonment emails. Take a look at your revenue last month. Now, estimate a conservative 40-50% increase in those numbers. What for? An average of 70% of carts are abandoned at every e-store. You have two choices: one, to set up auto-triggered cart abandonment emails which go off within a short period of time, or two: continue leaving money on the table. Your choice. Ever wonder why people sign up for your newsletter but never take any action? Maybe it’s because you never showed them around your store. A good approach would be taking new subscribers “around” your store virtually, showing them everything they need to know. For instance, anticipate the actions that a newly-subscribed user wants to take and design your onboarding sequence accordingly. If you own an e-commerce store, you should expect customers to know the product categories available on your e-shop; the most popular products on your site based on user reviews; what the press has been raving about; and the kind of things influencers have been discussing. Your gut feeling is not an acceptable method of anticipating customer orders; a better way to increase your sales is by improving your merchandise. Set up surveys on your website to find out what your users are looking for. This way, you can overhaul the entire customer experience on your store and improve it accordingly. Your customers love your products and show their loyalty to your brand by making purchases on your e-shop. But how do you show your customers you love them back? Reciprocation and building positive relationships with your customer is key. Something as simple as a personalized thank you email will help you drive loyal, passionate partners and customers in the long run. When sending thank you emails, you may want to consider using an SMTP server, especially if you are receiving a lot of traction to your e-commerce store. Part of the automation bundle are upselling and cross-selling marketing automation techniques. By using these marketing automation tactics, you will be able to increase the average order value per converted customer. As soon as they’re at checkout, they could receive an email to confirm their email address, which could be then enriched with products that are either similar but more expensive (upselling) or complementary to whatever they already intended on buying (cross-selling). We’re just getting started. Prioritize what you’ll be implementing first; delegate to the appropriate department in your company; update your schedule; and arrange a meeting to review team progress. Want to learn more about building your own e-commerce website? Learn about the best website builders in 2019. 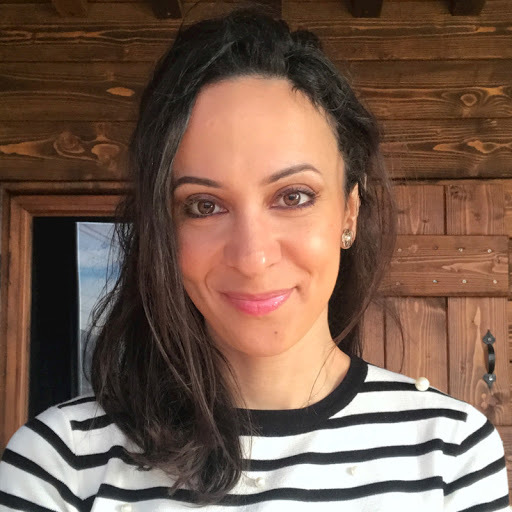 Iné Alexakis is the Head of Content at Moosend, an award winning email marketing and marketing automation platform that combines a user-friendly interface with advanced features that won't break your bank.